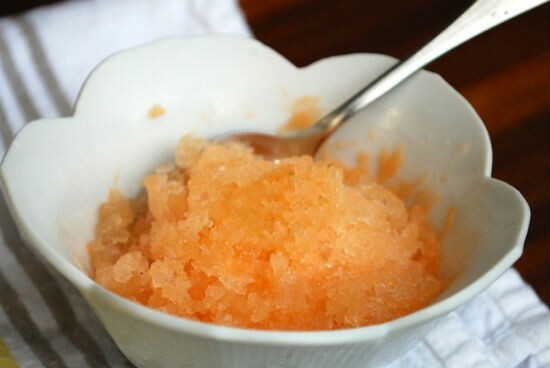 Cool down this summer with this simple and easy to make granita with muskmelon (cantaloupe). 1. Heat water in a pan. 5. Blend until it has a smooth puree consistency. 6. 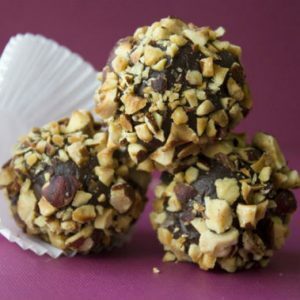 Pour this into a freezer safe container and keep it in the freezer until just frozen, about 60 minutes. 7. Remove and using a fork, stir the granita to break up the ice crystals until fluffy. 8. Put it back into the freezer and freeze until firm. 9. Spoon it into individual bowls and serve at once. Optional: You can also add 1 to 2 tblsp chopped mint leaves if desired. 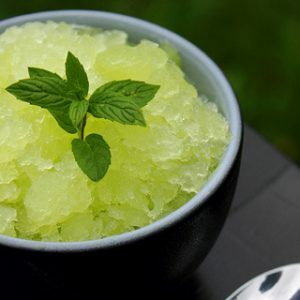 Feel free to comment or share your thoughts on this Muskmelon Granita (Cantaloupe Granita) Recipe from Awesome Cuisine.